The Link University Scholarship aims to promote upward social mobility among young people who are the first in three generations of their families studying university. In 2018, 17 UST students are awarded after a rigorous selection process. 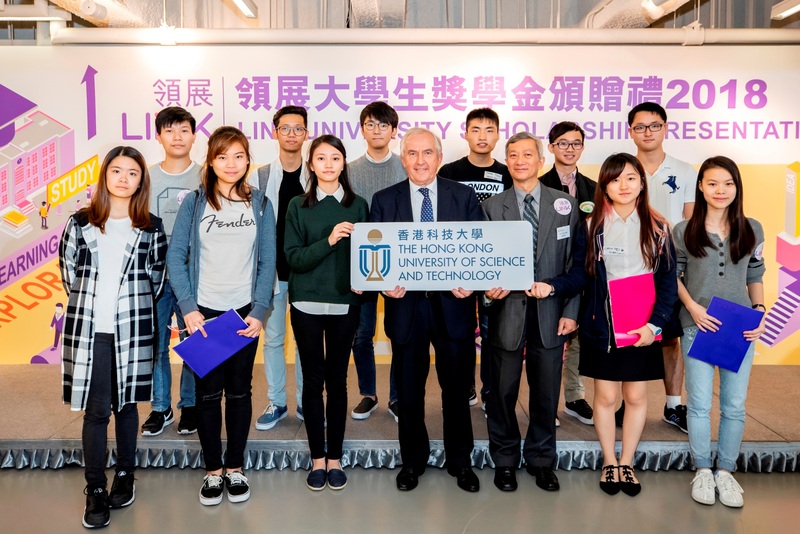 Mr Nick Allen, Chairman of Link Asset Management Limited, congratulated the awardees in the presentation and wished students who may be disadvantaged by their family background will have the opportunities to realise their dreams for a better future. On behalf of UST, the Head of Scholarships & Financial Aid Office, Dr Tony Lam, celebrated with the awardees in the presentation.